-- How transfer my playlists from Apple Music to Spotify? -- Can I export my Apple Music playlist to Google Play Music? -- Is there any way to copy Apple Music songs to Deezer? -- Apple Music playlist to Tidal? 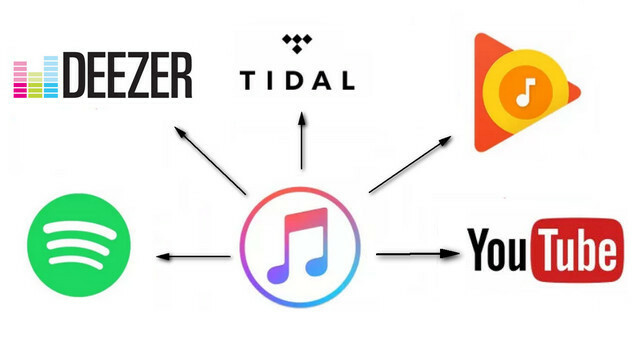 For various reasons, you may intend to switch to a new music provider like Spotify or Google Play, from Apple Music. However, switching from Apple Music to a new provider is not necessarily easy, especially when you’ve invested so much time into creating and curating your own playlists on it. Playlists are the most valuable part of a music collection for a lot of people. It would be best if we can make a switch from Apple Music to others services with taking our songs. But, it is a pity that all of Apple Music songs are encoded in M4P format with DRM protection, due to which you are not allowed to transfer these protected songs to other services or players, even if you’ve paid for the service. Well, luckily, things changed thanks to the coming out of some powerful Apple Music DRM removing tools. 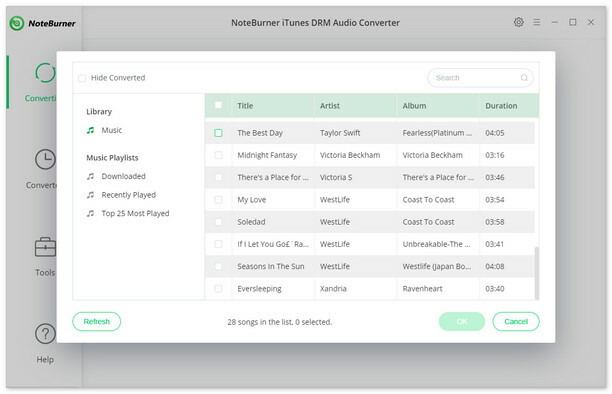 With the help of such tools, we can easily remove DRM from Apple Music songs and transfer to other service. To save your time and effort, we've picked the most popular Apple Music transferring tool in the following tutorial to show you how to export Apple Music songs to other services. 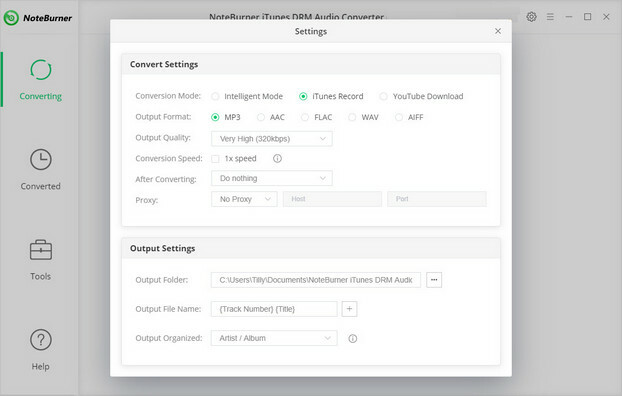 The smart tool we are talking about here is called NoteBurner iTunes DRM Audio Converter. It is an excellent Apple Music DRM removal tool, dedicated in helping users strip DRM restriction from Apple Music streams while converting the locked songs from M4P to MP3, FLAC, AAC or WAV format at 10X speed. Besides, it is capable of downloading Apple Music tracks without damaging the original streaming audio quality. With the help of this powerful tool, you can easily get Apple Music songs as DRM-free MP3 format, and then transfer to other services as wish. The following is the detailed tutorial to guide you to remove DRM from Apple Music. Please download NoteBurner Apple Music Converter first before getting started. 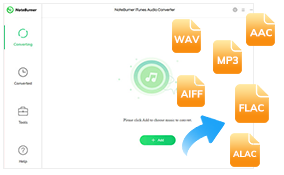 After adding songs successfully, please click the button "Setting" to choose the output format as you need, in the pop-up window, you can set output path, output quality, and output format including WAV, AAC, MP3, and FLAC. After completing the above steps, the final one is clicking the button "Convert". Just a few second, it will succeed. Once conversion finished, click History button (like a lock) to find the converted Apple Music files under target folder. Now, all of Apple Music songs are DRM-free files, you can enjoy these tracks on any other devices or transfer to your new music streaming service.